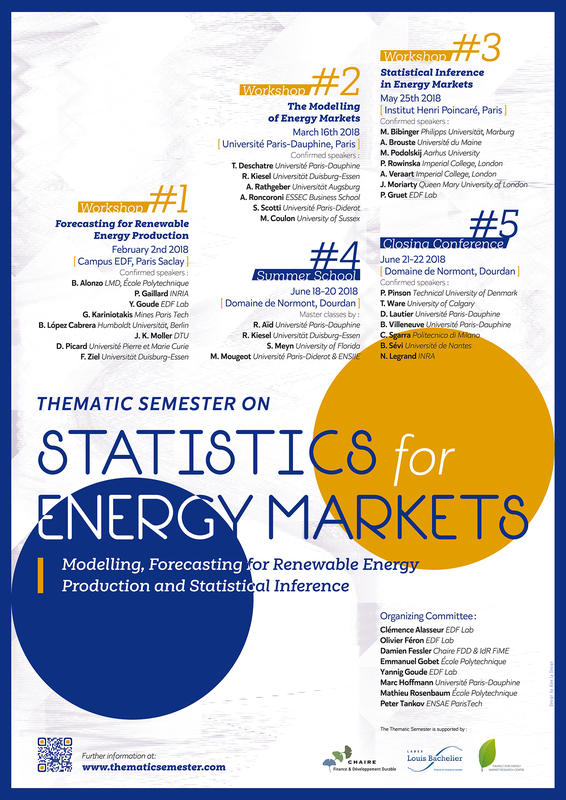 This thematic semester, titled “Statistics for the energy markets”, aims to present the recent thinking and developments on this topic, and to identify areas for research and collaboration between practitioners in the industry and academic researchers. It is supported by the “Finance and sustainable growth” Labex of the Institut Louis Bachelier. Olivier Féron (EDF Lab, Paris-Saclay and Laboratoire Finance des Markets de lEnergie) and Marc Hoffmann (Paris-Dauphine University) are responsible for the overall coordination.